One 12V that is present when the burglar alarm is armed. An extra relay for use to block the gate opener or for piloting some system automation. A red led that if is ON indicate that burglar alarm is armed. 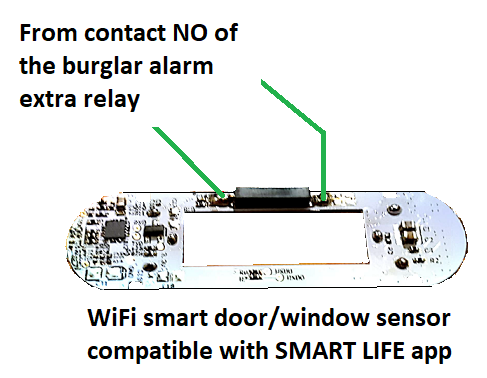 Using one of the output explained above and a WiFi sensor for Windows or Doors, compatible with the Smart Life app, is possible remote the status of your burglar alarm on your smartphone without spend a money for send/receive SMS messages. If you have a 12V that is present when the burglar alarm is armed, you are in the easy condition. In practice when your burglar alarm is armed the relay is activated and it simulate the closure of the reed contact present on the sensor. At this point you receive the notification on your smartphone because the sensor is register on Smart Life app. For more info concerning the way to use the sensor on Smart Life app see here. 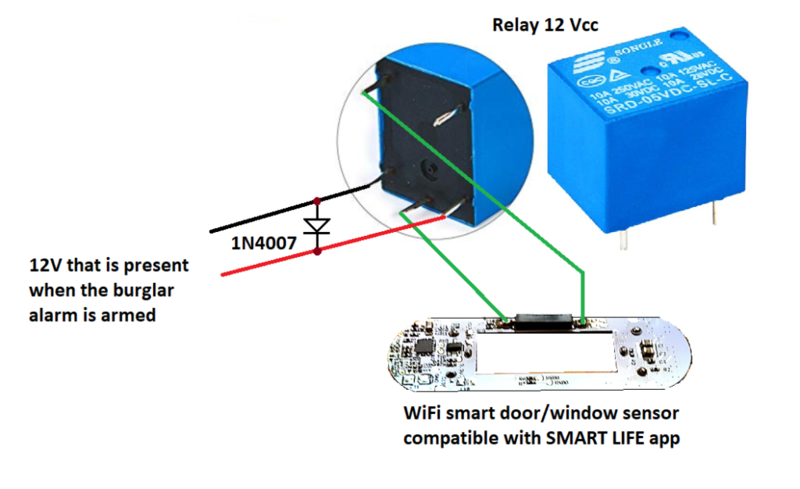 This situation request a complex solution that impose to install in the front of the Led (of the burglar alarm that signaling that is armed) a photoresistor for detect if the led is ON or OFF. 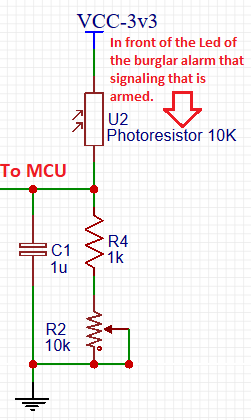 We don’t have a ready solution to propose now, we have an idea of project where the part of photoresistor is show below.